Dr. Fredrick D. Clark is not your average dentist. Dr. Clark is an “Oral Physician” and dental child care advocate who is on a mission. According to Dr. Clark, dental care cannot be relegated to the “out of sight, out of mind” category if one wishes to retain their teeth. One of the primary reasons many of us do not get dental care is a lack of perceived need. Unfortunately, the need may be present in spite of the absence of pain or apparent symptoms. Don’t loose the daily battles out of fear or apprehension, neglect or thinking that you know everything about your own teeth; you don’t. Only your dentist knows for sure. Don’t loose the war of the mouth. Dr. Clark sat down with Black Men In America.com Publisher, Gary Johnson for an impromptu exclusive video interview about preventive dental care. Please watch the video below and forward it to all of your friends and family. Coming Soon: You can learn more about Dr. Clark by visiting his YouTube channel. Dr. Clark testified before Congress in 2007: http://reform.democrats.house.gov/documents/20070516164114.pdf. By Fredrick D. Clark, D.D.S. The battle is engaged. The combatants are tiny, but the war will be waged for decades. Unfortunately, it is a war, which will have many casualties. This is the war of the mouth. The enemy is PLAQUE, a colony or groups of numerous bacteria that live in the oral cavity. They are the culprits behind the many problems we experience with our mouths over the years. The battle begins with the eruption of the first tooth. Plaque begins to attack the teeth and gums in our infancy and continues throughout childhood, teen years, adulthood and old age. We cannot see the enemy (plaque) until an appreciable amount builds up on the teeth and even then, it appears benign. It does not hurt, in fact may even be unnoticeable, but it can lead to horrific consequences if left unchecked. Bad breath (halitosis), tooth decay (cavities), gingivitis (gum swelling, bleeding), periodontal disease (destruction of gum and bone) which causes tooth loss; all of these conditions are caused by the presence of plaque. The teeth are just one part of a larger system, which includes the teeth and its supporting structures, the gums, the jawbones and the periodontal ligaments, (which hold the teeth to the bone). Collectively; this system is called the PERIODONTIUM. Thus, all of the above mentioned conditions are diseases of the periodontium. The war I speak of is relentless and many of us lose the daily battles because it goes on painlessly. By the time one complains of a toothache, the damage is sometimes too extensive to save the tooth. Most people are familiar with cavities because they start at an early age in most children. There are a few things we can do to prevent cavities such as adequate brushing, daily flossing and most importantly, professional dental cleanings and checkups. This is a two-fold approach of (1), home care and (2), help from your Dental Professional in early detection and treatment. I like to relate cavities to a concept most can understand; a cavity is like a cancer growing in which if left untreated will get larger and eventually destroy the tooth. Not only can it get larger but can cause immense pain, jaw swelling, abscesses, pus formation; and, the longer you wait the worse it gets. The results of many years of neglect is what causes people to require expensive dental care such as root canals, caps or crowns, extractions and dentures. Before it is too late, schedule an appointment with your dental professional; an ounce of prevention is worth a pound of cure. Learn how to win the battle of the mouth. You can keep your teeth for a lifetime; the key to keeping your teeth is early detection and treatment long before the problem becomes painful. 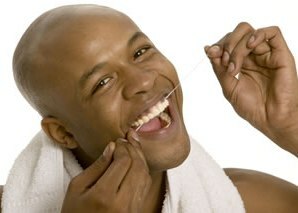 Dental care cannot be relegated to the out of sight, out of mind category if one wishes to retain their teeth. One of the primary reasons many of us do not get dental care is a lack of perceived need. Unfortunately the need may be present in spite of the absence of pain or apparent symptoms. Don’t lose the daily battles out of fear or apprehension, neglect or thinking that you know everything about your own teeth; you don’t. Only your Dentist knows for sure. Don’t lose the war of the mouth. Hey Buddy!, I found this information for you: "Don’t Lose The War Of The Mouth by Dr. Fredrick D. Clark". Here is the website link: https://blackmeninamerica.com/dont-lose-the-war-of-the-mouth-by-dr-fredrick-d-clark/. Thank you.